To get a estimate for our one time cleaning service, contact us at: 020 3746 3201 or by filling up in our reservation form. We are experts in delivering satisfactory spring cleaning in East London IG to the residents and companies in the area previous to, throughout as well as after the spring season. Our qualified cleaning technicians work on hourly basis and will certainly clean anything that you request if the time is enough for the job to be concluded. You decide what we clean and we will perform it with top performing machines and solutions! 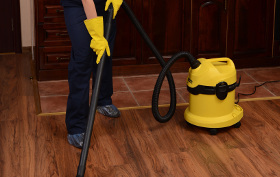 We can clean any surface, appliances, rooms, or just about anything you need professionally cleaned. Will the team clean up my stove? Yes, but when the kitchen stove has not been cleaned up for a while, think of our dedicated oven cleaning service. Your effective cleaning is going to be completed using special products and the results are going to be better. You might also take special deal any time you combine this service with your general one. In a smaller sized property you won't require big appliances lifted, and reserving a one cleaner is fine. If you want plenty of work completed very quickly, book a few professionals. Keep in mind you have to tell us in advance if cleaners need to supply the cleaning detergents and tools. Better Cleaning Company prides itself with the excellent one time cleaning service it provides to the people and companies in the region. Our one off cleaners East London IG work in full compliance with the senior management implemented safety and quality procedures. Our expert cleaning services company makes sure its cleaning technicians follow the standards and always provide you with a extra quality spring or builders cleaning services. We provide swift bookings via phone 020 3746 3201 or via our booking form. You will get an email confirmation within 2 hrs. Our one off cleaning East London IG company provides bank holiday and weekend availableness. For emergencies, you can rely on us coming quickly too! No advance payment is needed for scheduling our service. You will pay following the service has been carried out. Then why not make an appointment our one off cleaners right now!